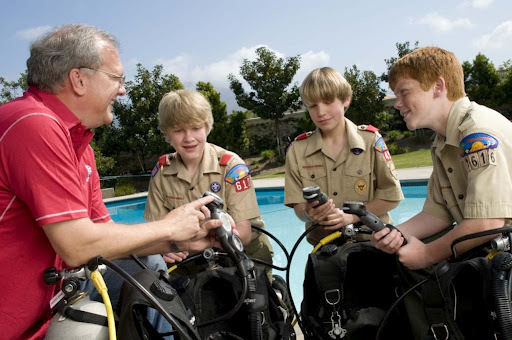 In 2010, the Boy Scouts of America in tandem with PADI, launched the Scuba Diving merit badge. Since then, the popularity of scuba diving is growing exponentially among the scouts. Much like scouting, the overall philosophy of scuba encourages the quest for adventure. It is a life changing experience that enables young men and women to embrace challenges in a whole new way. Since the 90s Sea Hunt Scuba has specialize in youth training with our Camps, Jr. Life Guards, Middle School & High School Scuba Diving Programs. Now with the Boy Scout Merit Badge we have been providing the training for the some of the local scouts groups. Below is a link to the details on this excite program. Contact us to set up a schedule for your scouting group.